How to Hide Facebook Friends List From Your Timeline? Whatsapp, as we all know, has been the best instant messaging app for an Android smartphone and even for iOS devices. With over a 100 million downloads, Whatsapp has become the most popular app of all time for Android and iOS smartphones. But still there are somethings that Whatsapp is not capable of doing. There is no video calling function and no calling function as well. You use Whatsapp only to send text messages to your friends or share images and videos and other attachments with them. But you can’t make any calls with Whatsapp. We shared with you a way to use Whatsapp for PC if you don’t own any smartphone. That’s the main reason people are opting for other chat messengers on their smartphone. There are many instant messaging apps available for almost all the mobile operating systems that support multiple chat options like text, audio and video chats. So here in this post, we are going to see the best Whatsapp alternatives that you an use on your smartphone irrespective of what operating system your smartphone works on. Viber should be considered as the best Whatsapp alternative as it is almost similar to Whatsapp in every aspect. It scans through your contacts and presents you with your friends’ name who have Viber installed on their smartphones. But unlike Whatsapp, you can call your friends using Viber. You must have a working Internet connection and you can make the free call. Viber is available for all the mobile platforms. Next instant messaging app that should be considered a great alternative to Whatsapp should be WeChat. Just like Whatsapp, you have to verify your number via the code that you receive through an SMS. It is one of the most popular apps in China and the features that makes it a really good alternative is that with it you can send text messages, share images with your friends and even make video calls. You can connect your Facebook account to add more of your friends to your list. LINE is almost similar to Whatsapp as you have to register your number with them and it will store it in their database. After that your contacts list will be scanned and you will be able to chat with your friends who have LINE installed on their smartphone. The reason that it should be considered as a really good Whatsapp alternatives is that you can reply to messages by installing the LINE app on your PC or Mac. You can install LINE for PC and chat with your friends from your computer screen. Skype is the one of the oldest messaging app but it still is one of the most popular apps that people use to talk with their friends or their potential clients. Skype is used by many people to have a conversation with their business clients. With Skype, you can not only do video chats with your friends, but you can even send text messages. There are many Skype alternatives as well, but not one app is as good as Skype itself. ChatON is a chat messaging app created and developed by Samsung. Though not as popular as the other instant messaging apps, it is a good alternative to Whatsapp as it allows you to chat with your friends who have ChatON installed on their device. The app has been downloaded a number of times and is available on all the leading mobile platforms. You have to verify your phone number and it will scan through your contacts list to give you the users that use ChatON. So these are some of the best Whatsapp alternatives that you can use on your smartphone whether it is Android, iOS, BlackBerry or a Windows Phone. These apps are available for every mobile operating system. If you are using any of these above apps, do share your experience with them. We will appreciate it much if you could share which of the Whatsapp alternatives you are using on your smartphone and whether it is as good or even better than Whatsapp itself. How to Fix Windows 7 Not Genuine Error? How to Use Cydia on iPhone and iPad Easily? 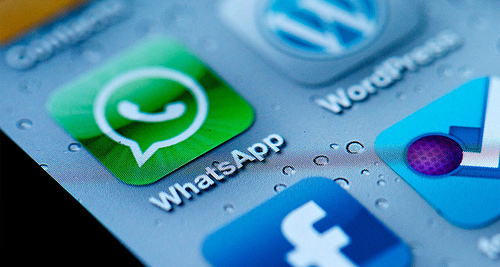 Why is WhatsApp the best Smartphone Messaging App?